One popular option used to drain water from a flat roof is the gutter system. The gutter system works much like gutters and downspouts on your home, but with a flat roof, they work harder. Flat roofs aren’t flat. They have a slight angle to them; however, these roofs still collect more rainwater and other debris than other rooftops. As such, you should have your gutters and downspouts inspected periodically to ensure they aren’t clogged or damaged. If you don’t, you could have a problem with your flat roof draining properly. Internal drains are another important component of your flat roof. Internal drains exist because relying solely on the slope of a flat roof is ineffective, especially if your commercial roof is large. Sporadically placed throughout your roof’s surface, your internal drains must be kept clog and damage-free. Fortunately, you can do this by maintaining them. Have a professional assess the state of your internal drains to ensure they are working properly. Finally, the last component of your flat roof drainage system is scuppers. Scuppers work to remove water using your downspouts. Unlike internal drains, scuppers piggyback on your existing gutter and downspout system. Scuppers force water off the edge of the roof, so debris and other blockages can inhibit their functionality. Fortunately, by ensuring that your flat roof is free of debris, you can improve the performance of your scuppers. At A Plus Roofing, we are the premier source for commercial roofing. If you suspect you have a problem with your drains, we are happy to help. We can help you detect and remedy flat roof drainage problems. 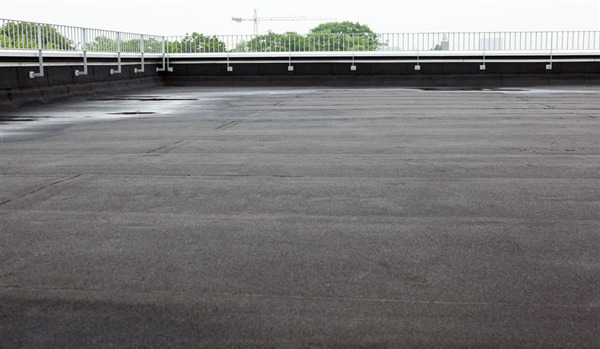 Give us a call today so that we can start inspecting your commercial flat roof. « Why Should You Have Your Flat Roof Inspected?